The Lenovo A6600 Plus is one of the most affordable smartphones in the low end category from Lenovo Company. Being on a low price tag, not much is expected of the device. Everything runs perfectly under the 5.0 inch display screen. It is an IPS LCD multi touch panel, with a 294 PPI that offers a clear display and no struggle to use it under sunlight as the visibility is much bright. The make of this phone is purely plastic. It feels nice on the hands and no to need to worry about it slipping off as the grip is much firm. It’s light-weight, weighing only 142 grams, and has a thickness of 8.8 mm. On the right hand side of the Lenovo A6600 Plus are the volume rocker and power/sleep buttons. The front side is the 5.0 inch display screen which has a resolution of 720 x 1280 pixels. Above the screen is the front 2 megapixel camera and down below are the capacitive buttons for navigating about the device. The back is loaded with an 8 megapixel camera with a flash support. Out of box, Lenovo A6600 Plus comes running Android 6.0 Marshallow. The device is not heavily skinned, thanks to its Mediatek Quad-Core processor clocked at 1.0 GHz. All the operations are smooth and no much lag is experienced. It has a 2GB RAM which is able to run the device perfectly. It is not recommended for heavy gaming, but multi-tasking isn’t a problem with the Lenovo A6600 Plus. The Mali graphics processor is not limited to any task given. Everything works well as expected from such a device. 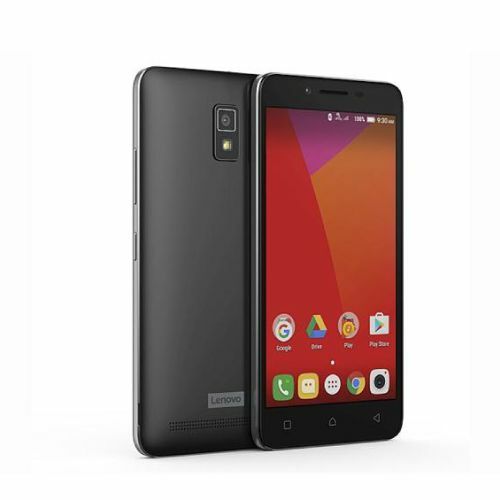 Lenovo A6600 comes with less pre-installed apps hence no much bloatware and enough memory out for your files. The 16 gigabytes internal memory can be expanded with a microSD card of upto 32 gigabytes in a dedicated slot. The device has a Fixed Focus enabled 8 megapixel back camera, that takes nice images with a LED flash support. Images are good for this 8 megapixel camera, it cannot annoy you in comparison with other 8 megapixels shooters. The camera is loaded with various modes and effects such as Geotagging, Autofocus, HDR and Panorama mode. It can record 720p HD videos at 30 Frames per second. The front shooter happens to only has 2 megapixels. In terms of multimedia, the Lenovo A6600 Plus comes with an inbuilt FM Radio. It supports MP3, WAV and eAAC audio formats. Videos play smoothly on the device. Loudspeaker is present for distant usage and listening. This device is not limited to connectivity options. It gives you a choice on Bluetooth, Wi-Fi, GPS, USB-OTG and microUSB v2.0 which also is used for charging the device. It has a 2300 mAh battery that is enough for minor operations. Heavy usage can see you charging the device frequently. Lenovo A6600 Plus is available in two colors. You can get it in Black or White. It has a dual stand-by SIM support, limited to 2G (GSM), 3G (UMTS) and 4G (LTE). Its sensors include Accelerometer and Proximity. This device should be on a must have list if you need a smartphone at a lower price. It offers much in all the fields despite its low price.